In last May, the organizers of the World Series of Poker Europe presented the schedule of the circuit. As planned, this event will take place in France, at Casino Barrière of Enghien-les-Bains, from next October 11th to 25th. After Cannes, the WSOP Europe changes destination this year and come in Paris, the city of lights. The greatest novelty of this edition 2013 of the WSOPE is the addition of a new bracelet at the Ladies Event. In fact, the poker event dedicated to women of the WSOP Europe is from now on endowed with additional bracelet, which changes the number of the WSOPE 2013 bracelet into eight but not 7 as in 2011 and 2012. Traditional event which was introduced in 1977 at the WSOP, the Ladies Event of this year is accessible for a buy-in of 1,100 and the winner of the event can cry out loud and clear his title of champion of Europe, thanks to this new bracelet. 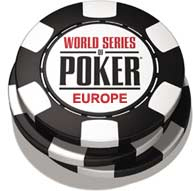 In all, the World Series of Poker Europe 2013 includes 52 events, among which 46 Side Events. And the events rewarded by bracelets are the Ladies Event (1,100), the NLH (1,100), the Pot Limit Omaha (1,650), the NLH (2,200), the Mixed-Max PLO (3,250), the Mixed-Max (5,300), the Main Event (10,450) and the High Roller (25,600). Last year, the 7 WSOPE bracelets were won by Phil Hellmuth, Antonio Esfandiari, Roger Hairabedian, Imed Ben Mahmoud, Giovanni Rosadoni, Francisco Da Costa Santos and Jonathan Aguiar. Phil Hellmuth won his 13th bracelet in poker tournament of the WSOP and added 1,022,376 to his prize list, by winning the Main Event on a field of 420 players.